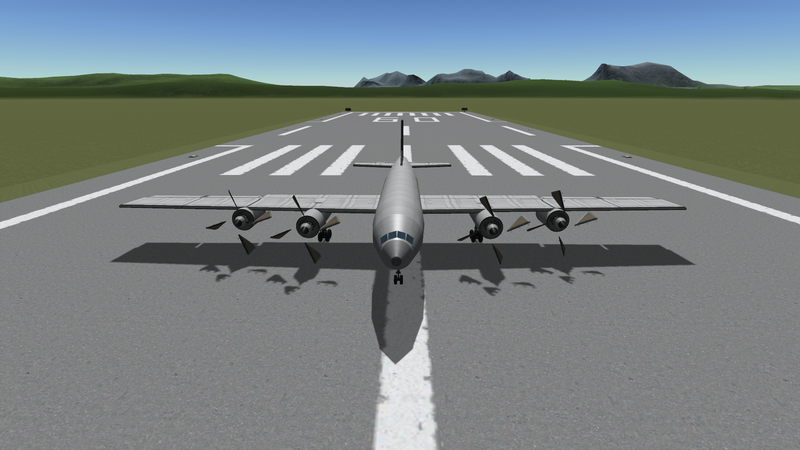 A stock aircraft called 4 Engine Stock Plane. Built with 252 of the finest parts, its root part is fairingSize1. Engage the brake. Hold Q+alt for 15 seconds. Stage. Release the brake. Fly. Fly fast. Do a loop. Land. Crash.